A high-tenacity, water repellent (WR), heavy-duty, lightweight fabric, available in a range of colours. 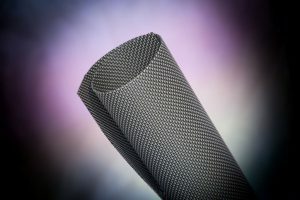 Its unique ‘star’ pattern makes it ideal for functional fashion garments and footwear requiring additional abrasion resistance. It also provides superior tensile strength and tear resistance in both directions. A high tenacity, heavy duty yet lightweight fabric, providing superior tensile strength and tear resistance in both directions. It is also water repellent (WR). Suitable for both footwear and garment sections requiring high abrasion resistance and available in a range of colours. The honeycomb pattern makes it ideal for use in functional fashion wear. A strong, polyurethane coated, polyester and aramid fibre, providing superior high tenacity strength. It is water repellent (WR) and has high abrasion resistance properties, combined with a wide range of colours make it ideal for use in items such as hiking and similar outdoor footwear, technical garments, luggage as well as functional fashion. 87% PES (Polyester); 8% Aramid; 5% PU (Polyurethane). A ballistic-type, heavy-duty fabric delivering both high tenacity and tear strength properties. 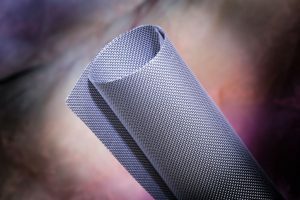 This visual metallic-effect fabric is designed for use in the visible reinforcement areas of garments and footwear comfort for the wearer, particularly outdoor, performance sports and hiking pursuits. Its water repellent (WR) properties provide extra protection against the elements. 73% PA 6.6 HT (High Tenacity Polyamide) Nylon; 27% PES (Polyester). A water repellent (WR), woven textile with a dual-colour, fluorescent weave pattern, providing high tenacity and tear strength. It has a NO-FRAY (FM) coating to seal the cut edges of fabric and is also available in a range of colours for fashion-active styling. It is ideal for use on visible reinforcement components for garments and footwear requiring high abrasion and physical resistance such as outdoor active sports and workwear. 60% PA 6.6 HT (High Tenacity Polyamide) Nylon; 40% PES (Polyester).